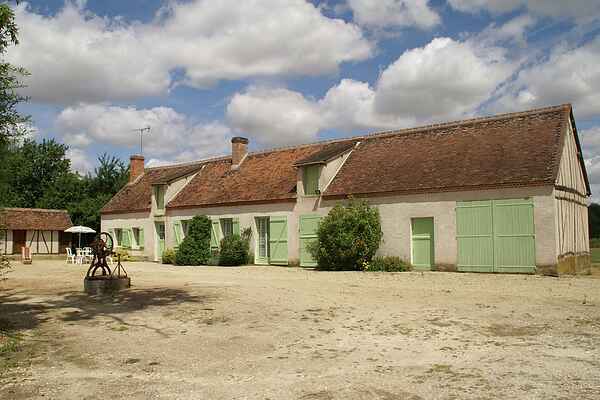 You'll find this beautifully renovated authentic holiday home in Beauchamps-sur-Huillard. It dates back to 1870 but it's still fully equipped. At the front of the house there's a delightful terrace with garden furniture and barbecue. At the rear side you will find a lawn, great for sunbathing and wonderful for children! You can take wonderful walks along the lake. There's a good chance that the chickens will wake you up in the mornings with their happy clucking. You can get groceries in Lorris (7km). Here you'll also find restaurants and a post office. You're in the middle of the beautiful surroundings of the Loire. And you'll know that you are! Numerous bike routes (there are two bicycles waiting for you) will lead you along picturesque villages and rivers. You can go on a good forest hike in the woods of Forêt d'Orléans (3km). There you will also find some lovely lakes for sailing, canoeing and pedal boating: Etang de la Vallée and Etang les Bois. There's a swimming pool in Bellegarde (10km). The region is rich in history. Closeby you can admire the splendor of several castles in Sully-sur-Loire (25km) and Gien (34km), city of the famous porcelain. Cities like Orléans (45km) and Montargis (30km) should also be on your bucket list.